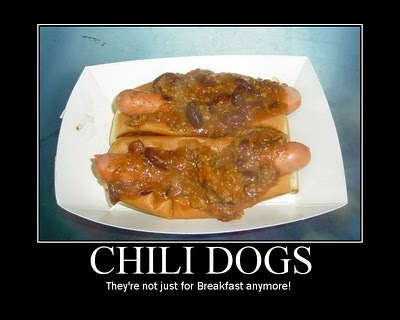 It is so friggin cold out, I am amazed when someone actually stops to buy a hot dog! Every dog at the Hot Dog Truck is a "chilly dog" when it's this cold. Friday it is supposed to be ZERO degrees and minus 20 degrees with the wind! It hasn't been this cold here for 20 years. I want to go out on the coldest day of the year and see what hearty souls will show up. I am going to have a "coldest day since 1989" chili dog special: the combo will be the same price as regular dogs and I'll pile on some extra chili to boot.